Trading ships listed in this section may also be purchased if the requirement of having played for a certain amount of Action Points is met. 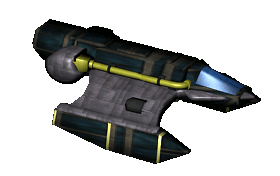 The Intergalactic Ship Design Consortium (ISDC) regards this small ship as a high tech flyer. Unfortunately the Sabre provokes more laughter than respect due to its small cargo space and single gun mount. The only advantage of this craft is its low price; for that reason it is primarily used by the poor first-timers and wanderers. 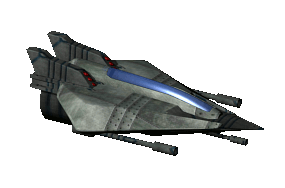 Rumour has it that some crazy pirates fit the Sabre with a heavy particle laser and go out hunting with it - for training or simply for fun. Despite this, the only real use for Sabres is in flight schools as exercise vessels. This fighter was fitted with extra storage space in the body, as consequence of the ever-growing trade opportunities. 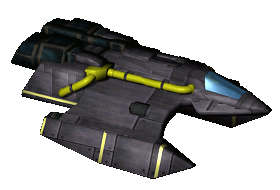 The Interceptor is often used in squads to guard big transports and starbases; most, however, are said to be used by pirates - its light weight, lowest of all standard ships, allowing them to cloak even outside of energy fields, lying in wait for the next unwary prey. 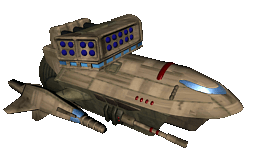 The pacifist ship designer Linda Lanner created two vessels - the Lanner and Lanner Mini - with remarkable characteristics. Having witnessed three wars and the painful loss of several of her family members, Lanner's designs reflect her attitude: No place for guns or missiles. This exceptional feature allowed Lanner to incorporate an improved chassis and the option for relatively strong armor. When the inventor presented her models on the first InterShip conference after the Aperture, she got laughed out of the hall by Federation and Empire representatives. However, shortly afterwards, both Union members and neutral people approached her, signing concessions for the distribution of the "silver double-L"s on their bases. Nowadays the Lanner Mini is a popular model among traders in many parts of the universe. Many people do not appreciate the Harrier due to its pelican-like appearance. 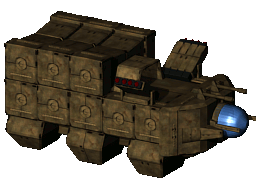 However, this medium sized freighter offers an ideal mix between freight and combat possibilities. With some cloaking skills this ship can even be used for covert operations. The source of the Interceptor's success - small size - was also its greatest weakness. Many veteran privateers found they needed a ship with better firepower and combat endurance, but were either unable or unwilling to pay for a Hawk. 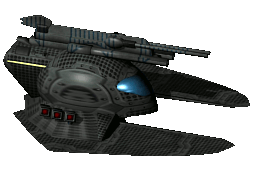 Ultimately, it was an underground organization's need for a small, anonymous, but capable heavy fighter craft that led to the Mercury's creation. Though many are ignorant of its sinister origins, its availability throughout the galaxy is a testament to its effectiveness. The Hercules may not be the best looking model, but it has been a stable big freighter for an impressive hundred years. It is well suited for the long and dangerous routes with its 10 missile launchers. Experienced pilots can even cloak it! 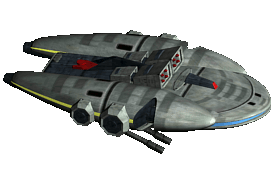 The pacifist ship designer Linda Lanner created two vessels - the Lanner and Lanner Mini - with remarkable characteristics. Having witnessed three wars and the painful loss of several of her family members, Lanner's designs reflect her attitude: No place for guns or missiles. This exceptional feature allowed Lanner to incorporate an improved chassis and the option for relatively strong armor. When the inventor presented her models on the first InterShip conference after the Aperture, she got laughed out of the hall by Federation and Empire representatives. However, shortly afterwards, both Union members and neutral people approached her, signing concessions for the distribution of the "silver double-L"s on their bases. Nowadays the Lanner is a popular, although hard to get, model among traders in many parts of the universe. Contrary to its fragile elegance, the source of its name, the Hawk is anything but fragile due to its optimal armor implementation. In this medium to luxurious version you find one of the most gun mounts available on ships. 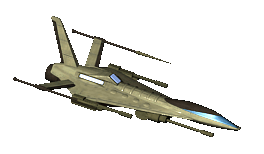 The lack of missile mounts, due to technical aspects, is a flaw that can be easily ignored. The Hawk is commonly used to transport VIPs. But some rich pirates have been able to evade the law in this ship. Planned as a cloakable freighter/fighter hybrid, the design of this giant dual-blade has run somewhat out of hand - weight wise. It is still a very good choice for the wealthy adventurer, either for combat or trade purposes. The cargo capacity is more than sufficient for the second; the gun mounts and numerous missile mounts certainly so for the first use. The Behemoth deserves its name. With an enormous cargo space of 315t, this old giant is one of the best trade ships ever built. But it comes at the costs of big size, limited gun mounts and an extremely hideous look. As travelers made their way further into the depths of the universe, it became readily apparent that the dangers of deep space were far more deadly and prevalent than originally perceived. The need arose for a craft that would protect both the cargo and safety of those making their lives among the stars. Designed with an organic shape similar to the threats it was created to face, the Liberator reflects the quality and pride its designers put into this new modern class of starships. 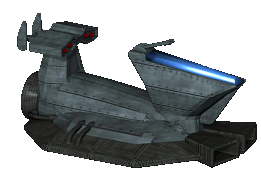 Like a sleek predator, the Liberator is more than adequately equipped to keep the space lanes clear of threats known and unknown. This monstrosity exists for only one purpose- to move cargo. More of a mobile warehouse than a spacecraft, the Leviathan was engineered to be as large as possible while still being able to dock at standard space ports. Removable cargo bays allow the ship to carry any sized and shaped load imaginable, and its remarkably sturdy design makes load planning a breeze. Of course, the Leviathan's best features are also its greatest downfall in situations calling for speed and maneuverability.